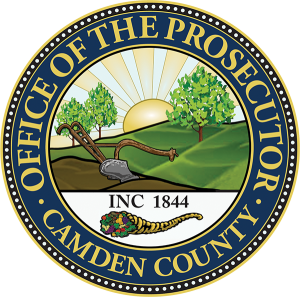 Camden County Prosecutor Mary Eva Colalillo and Cherry Hill Police Chief William Monaghan reported a man was arrested in connection with a bank robbery in Cherry Hill on Monday, April 25 as well as bank robberies in Voorhees and in Marlton earlier this month. The suspect, a 29-year-old man from Cherry Hill is charged with second-degree robbery and third-degree resisting arrest for allegedly robbing the Wells Fargo Bank located at 488 Evesham Road in Cherry Hill. He also faces drug charges. He is accused of robbing the Wells Fargo Bank and is also accused of robbing the Fulton Bank in Voorhees on April 4and the TD Bank in Marlton on April 23. He faces second-degree robbery charges in connection with the incident at the Fulton Bank in Voorhees. On Monday, the suspect entered the Wells Fargo Bank at approximately 3:13 p.m., passed a demand note to a teller and fled with an undisclosed amount of cash. He was located a short time later in Cherry Hill. An investigation by the Camden County Prosecutor’s Office major crimes unit and the Cherry Hill Police Department identified the suspect as the alleged bank robber. He was remanded to the Camden County Jail with bail set at $60,000.